Braemar has always been a desirable place to live. With the combination of condos, townhouses and other attached homes, and a variety of single family homes there is something for every buyer. And our schools are always at the top of any parents list, particularly now we have Patriot High School. What we don’t have right now are enough homes to sell. If you’ve been contemplating a move, let me know. There are not enough Braemar homes to meet buyer demand. Now is a great time to sell. And I’d be happy to do a free market analysis of your Braemar home’s worth in today’s market. You’ll never be able to afford more home that you can RIGHT NOW with interest rates at historic lows. In the last couple months I have seens some fabulous Heritage Series homes come on the market in Braemar. This afternoon I had the opportunity to see one that was hands down the best done Yardley I have seen in a long time. I am sure it will be under contract in a matter of days and will make a great comparable for next report. For now, let’s focus on sales from the first two months of the year in the Heritage Series. 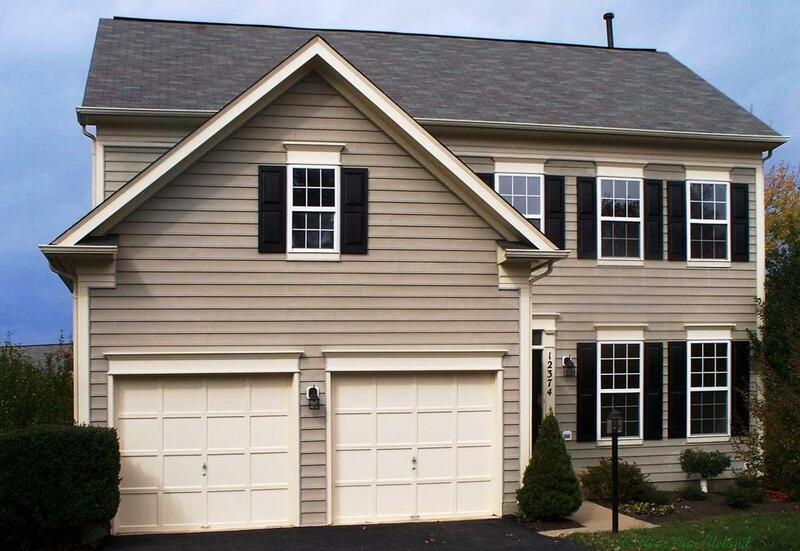 These are the mid-sized single family homes in Braemar, built by Brookfield, that include the following floor plans: Exeter, Yardley, Zachery and Waverly. There were two Yardleys that sold in February. Their prices could not be any more different and obviously reflect the difference upgrades and condition can make in a home. The high sold price was $440,000. The low sold price was $340,000. They both offered the same amount of finished square footage, but varied in lot desirability, condition and upgrades. The average of these sales gives us our new average market value for Braemar Heritage Series homes of $390,000. That’s over a 1.5% decrease since last report, but over an 18% increase since the first two months of 2011. If you placed your Yardley, Zachery, Waverly or Exeter on the market and priced it current market conditions, you could expect it to be under contract in an average of two weeks. You could also expect a buyer to ask for an average of nearly 1.5% of the sales price in closing cost assistance. The next Braemar Property Value Report will be out in May and will detail sales from the months of March and April. Given the homes I’m seeing go under contract, I think we will see an nice increase in average market value next time. Until then, Until then, please call me if you are thinking of selling your Braemar home. I’d be happy to do a free market analysis of your particular Braemar home’s worth in today’s market. As a Braemar resident and full-time Bristow real estate agent since 2005. I’ve also been a Short Sale Agent since 2007, so I can help you sell no matter what your equity position. And remember, no one knows Braemar better! Spring has officially begun in the Braemar real estate market. With January and February behind us, let’s t ake a look back at the resale activity for Braemar homes in the Courtyard Series. For those who are unfamiliar with Braemar Courtyard homes, they are characterized by their near zero lot line lots and five homes clustered around a private courtyard driveway. The models of Courtyard homes include the Arlington, Ballston & Clarendon. 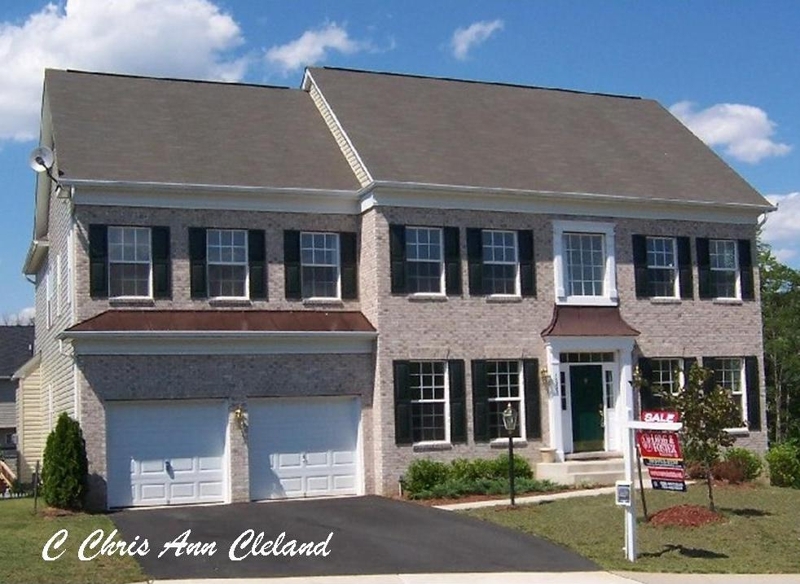 In the first two months of 2012, there was one resale of a Braemar Courtyard home. And for anyone who follows this report, you’ll appreciate that there was at least one sale to report. Many are the reporting periods where we have nothing to report. 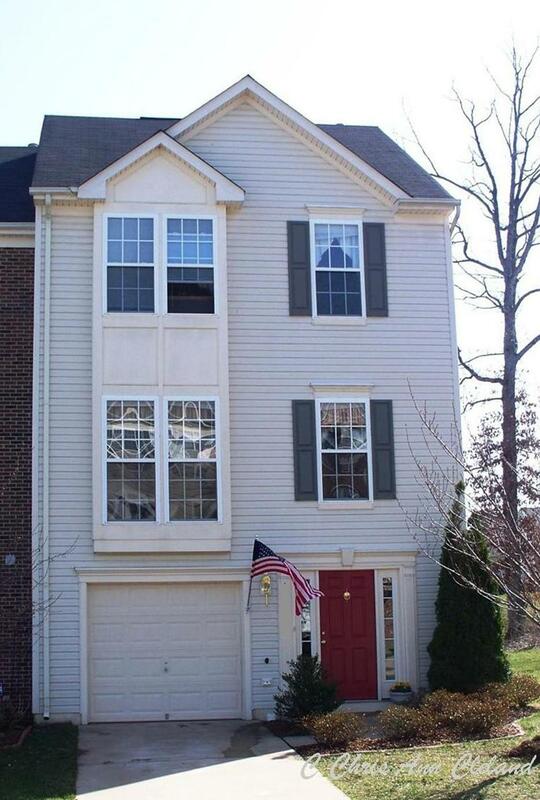 This time around, a Ballston sold in January. It’s sales price of $320,700 becomes our new average property value, That’s about a 3% decrease since last report and nearly a 10% decrease since the first two months of 2011. If you placed your Braemar Courtyard home on the market, priced to current market conditions, this report sets the expectation that your home would be under contract in an average of just under two months. And the market being a bit competitive, you may not have to assist a buyer with closing costs at all. The next Braemar Property Value Report will be out in May and will detail sales from the months of March and April. Until then, if you are thinking of selling your Courtyard home give me a call. I’ve been a full-time Bristow real estate agent and Braemar resident since 2005 I’ve also been a Short Sale Agent since 2007. No matter what your equity position I can get your Braemar home sold as quickly as possible and for the maximum dollar amount. Remember, no one knows Braemar better! Today was the first official day of daylight savings time. And what a lovely day it was in Braemar. Having the warmth of the sun for an extra hour certainly does make a difference. The spring real estate market has already seen some successes, so let’s take a look back at the first two months of the year and see what happened to property values in the Carriage Series. For those unfamiliar, a Braemar Carriage home is characterized by the detached garage or parking spaces in the rear of the home. There are four types of Braemar Carriage homes and they include, from smallest to largest the following floor plans: Maplewood, Norwood, Oakdale and Parkdale. There were three Braemar Carriage homes that sold during January and February. 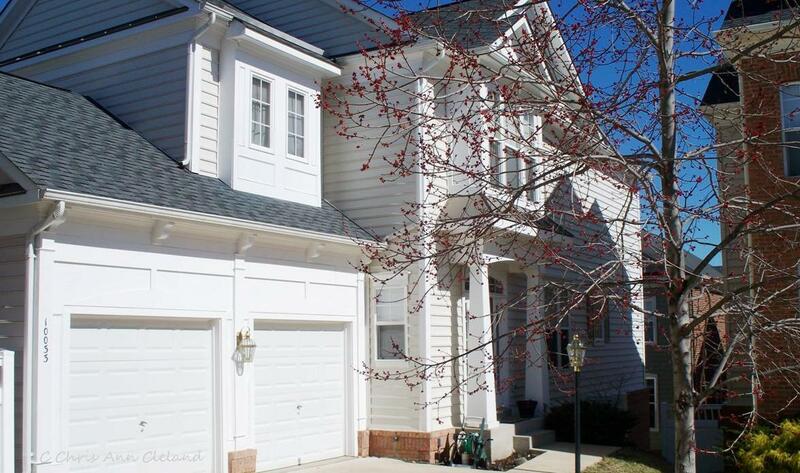 The high sales price of $355,000 came from an Oakdale model, while the low sold price of $297,000 came from a Norwood. The average of all three sales gives us our new average market value of $330,667. That’s slightly more than a 5% decrease since last report, but nearly a 12% increase since the first two months of 2011. If you placed your Braemar Carriage home on the market, priced to current market conditions, this report indicates that your home would be under contract in an average time frame of under three weeks. You could also expect a buyer to ask for about 3% of the sales price in closing cost assistance. The next Braemar Property Value Report detailing Carriage home sales will be out in May and will detail sales from the months of March and April. Until then, if you are thinking of selling your Braemar Carriage home, get in touch with me for a free analysis of your home’s specific value. Braemar Carriage homes are always in demand and I can help you sell yours quickly and for the maximum amount of money. Spring hit Braemar about a month early this year. Normally I notice my crocuses bloom in late March or early April. This year, they started blooming at the end of February. It’s all the unseasonably warm weather, and believe me, I’m not complaining. Here’s something else I’m not about to complain about…the upswing in Braemar property values. With the first two months of the year behind us, let’s take a look back at the resale activity for the Arista Series homes in Braemar. These are the large single family homes built by Brookfield Homes and include the following floor plans: Allister, Buckingham and Canterbury. There was only one resale of an Arista Series home, and it happened in early February. Not surprisingly, it was a Canterbury model…by far the most popular choice of the home owners that purchased Arista Series homes from Brookfield. And this Canterbury was BIG. It had five bedrooms and five and a half bathrooms. There was even an additional room in the basement that could have been considered a sixth bedroom. The basement was finished and had a walk-up exit. 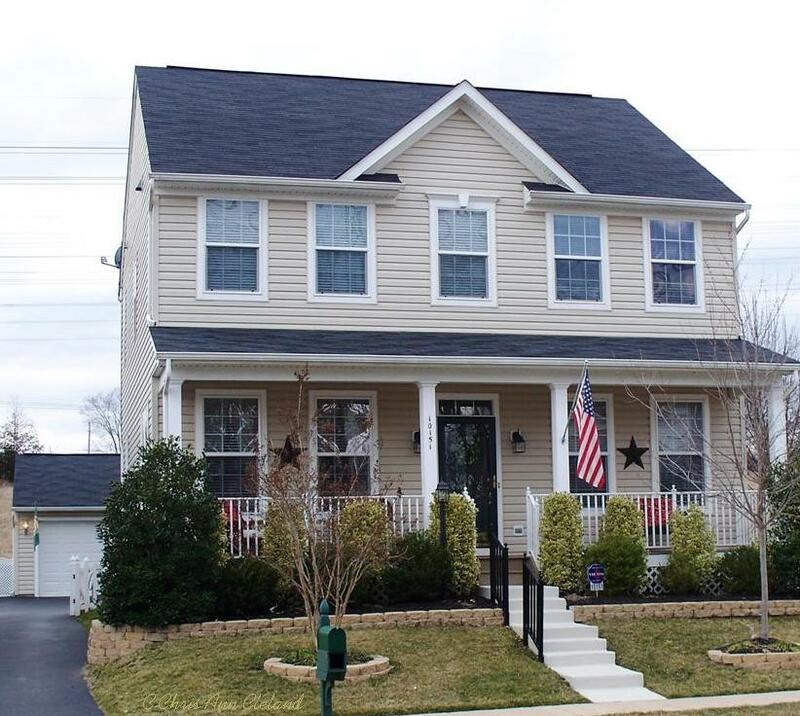 The home listed for $509,900 which was a bit aggressive, but sold for a high sales price of $475,000. That value, being our average for this reporting period gives us a 7.5% increase since last report and nearly a 12% since the same reporting period last year. If you placed your Canterbury, Allister or Buckingham on the market today, priced to current market conditions, this report indicates you could expect to pay about 3% of the sales price in closing cost assistance to the purchaser. You could also expect your home to go under contract in about two months time, maybe faster since this home would have been considered overpriced compared to its final sales price. The next Braemar Property Value Report will be out in May and will detail sales from the months of March and April. I expect to see the positive trends to continue as we seem to have a high demand for homes in Braemar and not much inventory. Until then, if you are thinking of selling your Braemar home, I’d love to provide you with a free market analysis of your home’s specific value in today’s market. As a Braemar resident and full time real estate agent since 2005, and a Short Sale Agent since 2007, I can help you sell your Braemar home for the most money in the least amount of time no matter what your equity position. 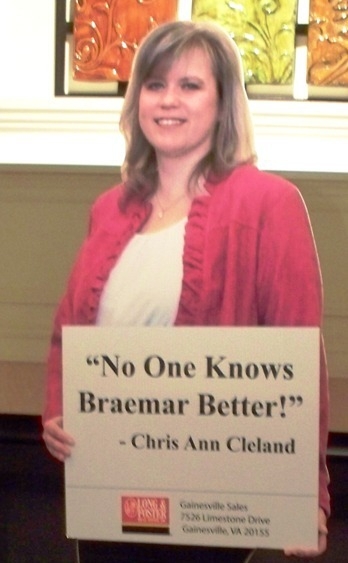 Remember, no one knows Braemar better!